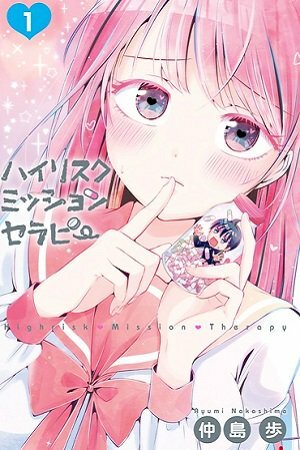 High Risk Mission Therapy manga summary: Iori Kandono is suffering from a new illness called Monderella Syndrome, thanks to which she would suddenly experience severe pain in her chest. To make the pain go away, she can either take the medicine or get a massage by a male person. One day she forgets her medicine at home and has such an attack in school, but fortunately her classmate, Edogawa, by pure chance runs into her, and it seems he's the only one who can make her pain go away!